What would you put in these cute little baskets? 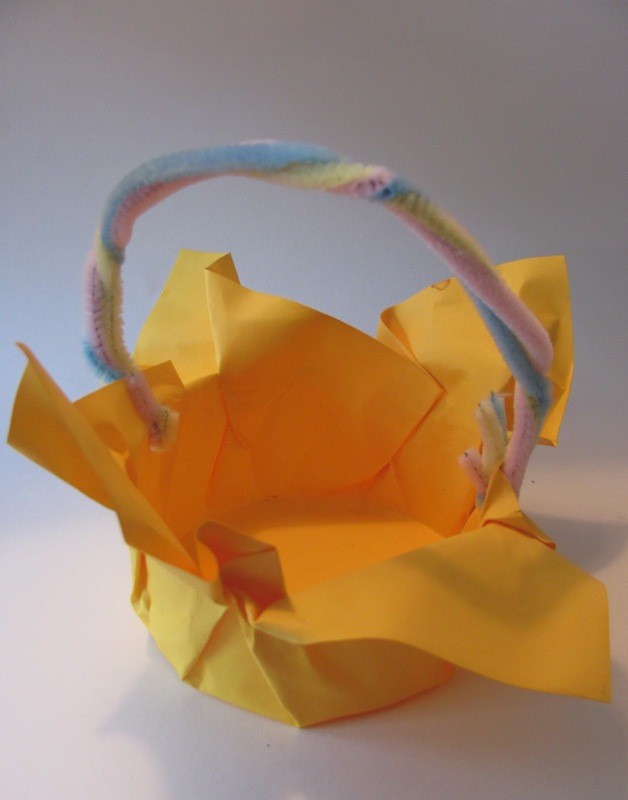 We made these paper baskets with some construction paper, liquid starch, and pipe cleaners. They could be May Baskets, Mother's Day, Teacher gifts or for Easter. Lay the square paper on some newspaper and brush the liquid starch over the paper. Turn the paper over and do the other side too. 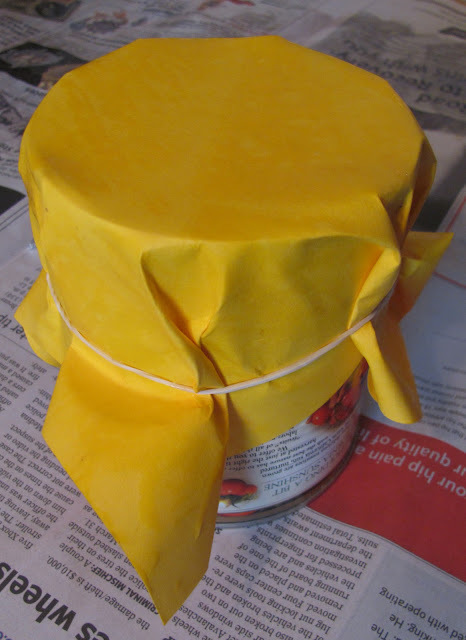 Now put the wet starchy paper over a can. I used a large stewed tomato can, but you could use some thing like a coffee can too. Place a rubber band around the paper like this. Let the starch dry. Then when the basket is dry, you can punch holes on the sides and twist pipe cleaners together to form the handle. Pretty simple! Then place whatever you want in your basket. Maybe natural items, trinkets, or coffee filter flowers like we did below. To find out how we made the coffee filter flowers click here. What kind of baskets have you made? Love this...so pretty & creative!! They look very pretty! 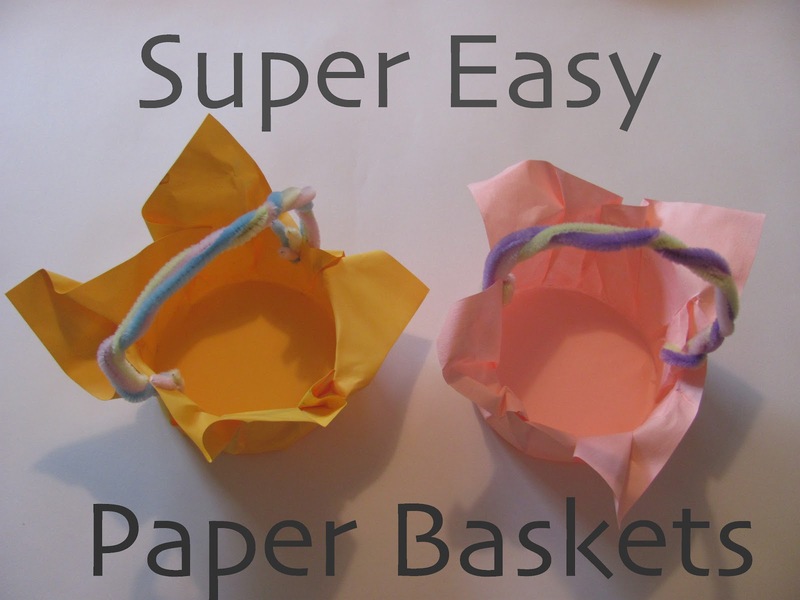 We did egg carton mini-baskets as props for our puppet play. Very creative. I especially love the coffee filter flowers. So colorful! These are so cute! My little girl would love it!